Pitch & Scratch, Jay W McGee, Tortured Soul, Sy Smith, Monsieur Dubois and more. This show was 25th in the global groove chart, 45th in the global funk - soul - jazz chart and 79th in the global funk chart. 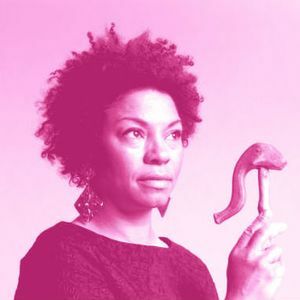 Episode 49 of Calamity Jade&apos;s funk/soul/groove radio show "Funk Shui" includes a special feature with American singer Nicole Willis of Helsinki-based band Nicole Willis & The Soul Investigators, who presents 3 tracks by this band! Episodio 49 del programma funk/soul/groove di Calamity Jade, con uno speciale con la cantante americana Nicole Willis del gruppo Nicole Willis & The Soul Investigators di base a Helsinki, che ci presenta 3 tracce di questa band! My pleasure, thanks for the support Alice!